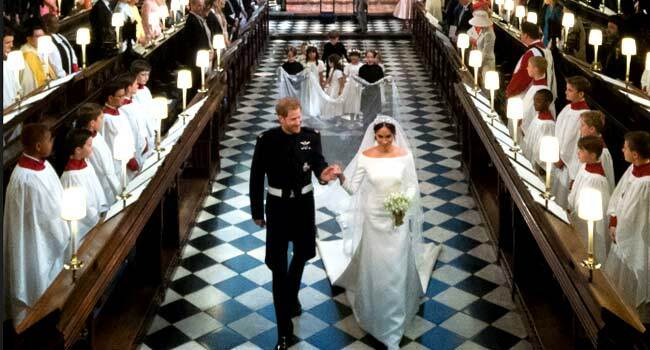 Home Unlabelled Over 29 Million Watched Royal Wedding In U.S.
Over 29 Million Watched Royal Wedding In U.S.
More than 29 million people watched on television in the United States as Britain’s Prince Harry married American actress Megan Markle, according to Nielsen ratings released Sunday. The estimated 29.2 million viewers for Saturday’s ceremony exceed the number for the 2011 wedding of Harry’s brother Prince William to Kate Middleton, which was watched by 22.8 million people. Harry and Meghan tied the knot in a ceremony at Windsor Castle, where they were greeted by around 100,000 people lining the streets. The couple will not be taking a honeymoon immediately, as they are due to attend a charity garden party for Prince Charles, the heir to the throne, at Buckingham Palace on Tuesday.